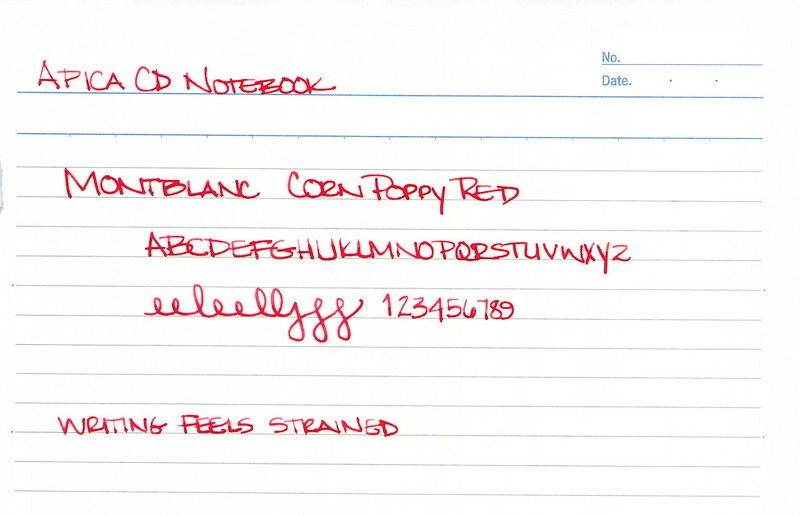 Montblanc Corn Poppy Red has arrived on the scene. 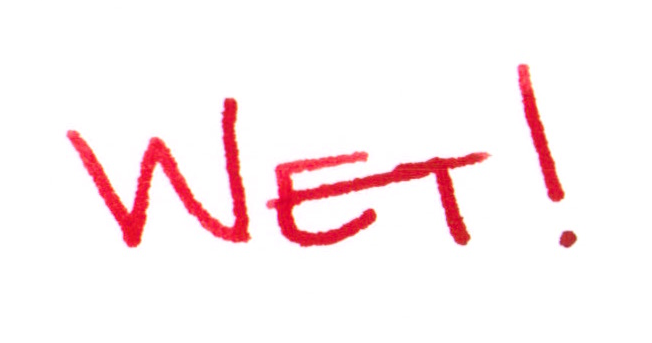 My very first impression was that the ink is terribly wet. If flowed from my pen with such ease that I was sure it would take forever to dry. I was wrong and the dry times are perfectly acceptable with no smearing at all at the twenty second mark. Here's the scoop . . . delightful saturation, beautiful red color, flow is wonderful, definitely not water-resistant. There was no ghosting and minimal show through on the HP 32 pound paper I was using. There was also the teeny tiniest bit of spread. Not enough to call it feathering, but definitely some spread. Just a touch. Maybe so little that others wouldn't notice it? Probably not enough that it's a deal breaker for me. I regularly use HP 32 pound paper. I know it's a good and consistent paper that works well with fountain pens. An then I wondered . . . how would Corn Poppy Red behave on other papers? First I tried Apica CD 15 Notebook paper. This is their regular line, not the premium stuff. It was not a pleasant writing experience. I felt as I needed to press just a bit harder with the pen (the MB Heritage 1912 that I adore so much) and even then, it just didn't feel as nice. Then, I tried my old favorite Rhodia 80 gsm . . .
And, man, that was some nice writing! Smooth with crisp lines. I approve! I know you're looking at the bottom line there and wondering what the heck happened. Silly me put the paper in the scanner before it was dry. Anyone know how to clean ink off of a feed scanner's rolly bits? Oops. Bottom line? I like pen and ink combinations that work on all papers. There's so much fuss in the world that when I pick up a pen, I just want it to go. 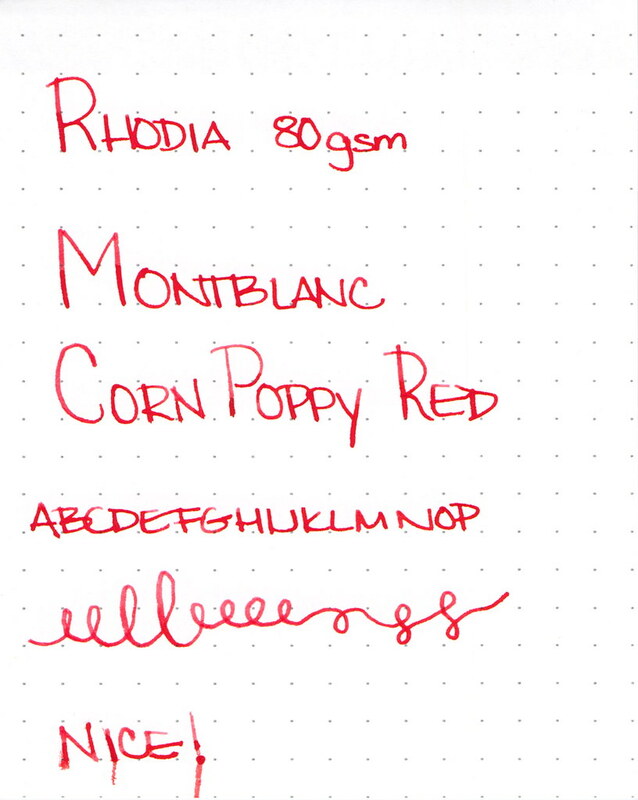 I like Montblanc Corn Poppy Red, but it's not love. 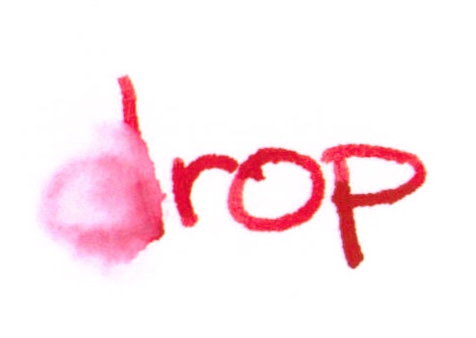 Tell me - what are deal breakers for you with inks? 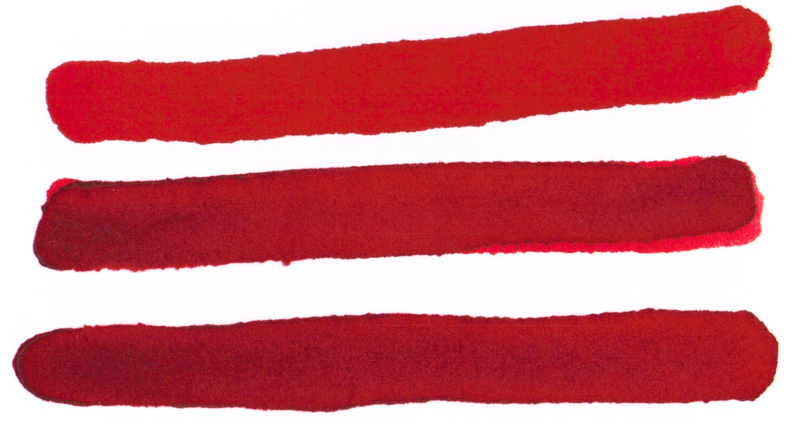 Color is the big obvious thing, but are there other things that you simply will not tolerate? I will chuck even the prettiest color if it has flow issues. Like you said, life is complicated enough already, no need to have pens that don't work too. I won't use inks that bleed or spread too much. If an ink is only good on Rhodia, then I probably won't use it. Good review, by the way.